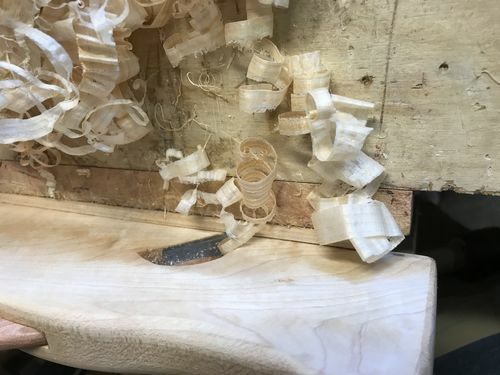 I had some more of the cut off Maple that I used for the other shoulder plane, which was essentially a copy of a molding plane converted to a shoulder plane. 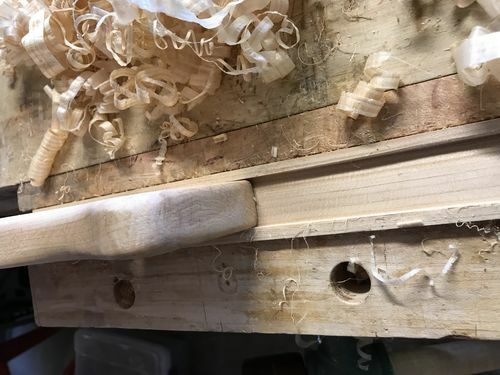 This time, I wanted to build a proper wooden shoulder plane. I looked at a few pictures on the Internet and went to work. 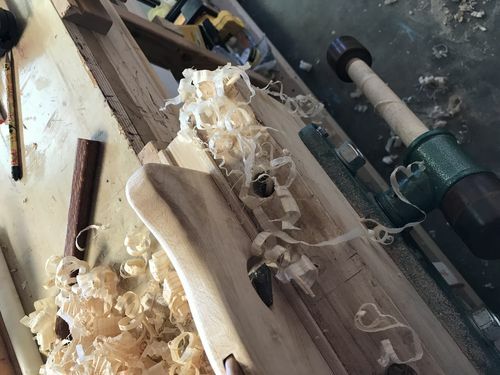 The blade is a replacement blade for the wooden shoulder plane sold by Lee Valley. 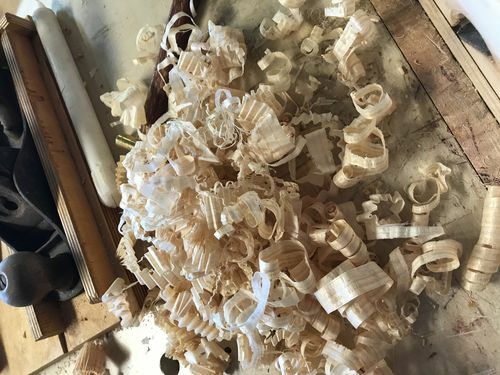 I bought a few of them as they were quite an expensive and I would like to make molding planes out of them. Simple things first. So, for the most part, the shavings come out appropriately, but it does jam occasionally. I suspect I could probably make the opening bigger. Really nice work, Todd. Let’s see some shavings and it at work, even with a clog if it happens; please. Off to work (night shift), will try to post it working tomorrow. This is a nice shop-made tool and you really did a fine job on this. When leaning one way or the other, or cutting with part of the blade, there is no issue. 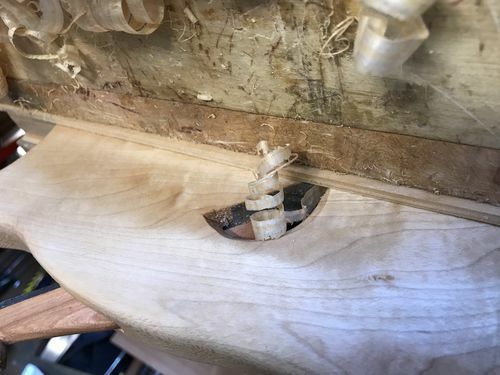 When cutting a through dado, it tends to accordion on itself. Otherwise, the shavings come off nicely one side or the other. Granted, that was a scrap piece of pine and not anything hard.